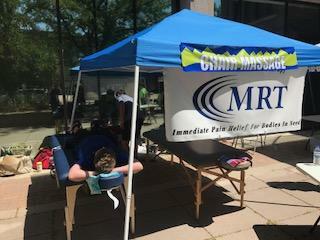 We attended the first annual Ride and Revel in Greeley, providing 15-minute Power Massages to athletes at the finish line. We had a great time and look forward to attending more events in the community. If you are aware of any upcoming events that we should attend, please let us know.